Chris Coleman has revealed former team-mate and Fulham academy coach Kit Symons will become part of the new Wales manager's back-room staff. The 40-year-old, who retired from playing in 2005 after winning 37 Wales caps, is set to be appointed next week. Osian Roberts is poised to remain part of the Wales set-up but Coleman has not yet talked to Gary Speed's other former assistant coach Raymond Verheijen. Coleman was appointed Wales boss after the death of predecessor Speed. Verheijen and Roberts were Speed's right-hand men during his reign that achieved five wins in 10 games as Wales made the biggest leap in the Fifa world rankings during 2011, moving into the top 50 for the first time since April 2003. Coleman is good friends with former Welsh international and Fulham team-mate Symons, who played for Wales between 1993 and 2004. And the former Manchester City, Crystal Palace and Fulham centre-back will "probably" be appointed next week. "I've spoken with Kit" admitted Coleman. "I will be looking to bring in Kit in some capacity and I think Kit will add to us. "The players will respect Kit and will like him. He brings different qualities. "For me as the manager I need someone that I know and I've got tremendous trust in him. "That's not to say we're looking to lose anybody but I think it is safe to say we are looking to do something with Kit." 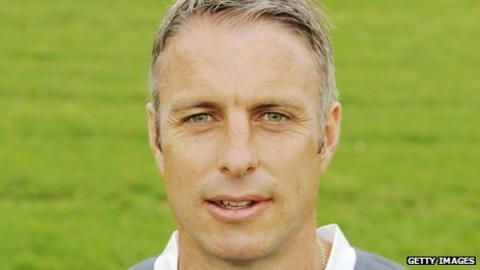 Symons is manager of Fulham's high-flying under-18 side and it is expected the former defender will combine the part-time Wales role with his duties at Craven Cottage. Coleman wants Roberts to continue and be part of his coaching team "for sure." "I've had a good conversation with him and it was very positive," said Coleman. "He will continue to help us. We got together and talked, not on the phone as it needs to be face to face and I need to do that with Raymond and the other members of staff that I have not yet met. "When Raymond gets back from Dubai, he'll come to Cardiff and we'll have that discussion." Roberts and Verheijen are also set to take charge of Wales' next international friendly the Gary Speed Memorial match against Costa Rica in Cardiff on 29 February.